You work long enough at this job, and it feels as if all of the people you see are relatives, kids. Just a few random snaps from the past few weeks. "One day, Shelly, one day there will be a way to bring your story in front of the camera and not identify you, embarrass you." Shelly could really be a woman in her sixties, for all you know, but for our purposes we've designated him male, about forty. He has had no luck in relationships, picks the wrong women to love. They find him solid, the perfect catch for marriage because he's kind, loving, works steadily, and can dance. He's also generous, likes to cook, goes to church, and doesn't drink. And he could have been cast for Graceland. He is everything they want a man to be. He's in love again and so, so worried, after four months of dating, that she's interested in someone else, too. But she isn't. I know she isn't from what he tells me, and we bring her in to talk about Shelly's past, so that she can forgive his paranoid accusations, his insecurities, and they can work on these as a couple. He has had a bad history with intimate partners, but hearing about his childhood and the women in his family of origin, his adult relationships don't compare. The house? A crack house. Role models brought home multiple partners. And not only were they not terribly private, they saw nothing wrong with this. The only true survivor of an unpredictable zoo, Shelly is the stalwart of the family now, the one everyone comes to for advice, for money, too, naturally. He never could be, never wanted to be anything like them. But he thinks he is, that everyone knows, that he is tainted. You can read the dysfunction on him, or so he believes, can see it in his words, his smile. So goes the irrational way we see ourselves, sometimes, imprinted at a young age by identity. Some of us are destined to define ourselves by the people who raised us, our flesh and blood, our families. No matter how different, the shame is so deep that it feels as if it shows, we feel guilty for being a part of all that. Logical? Not at all. But that feeling-- shame, unworthiness, dirty--irrational, ridiculous because he's nothing like anyone in his family, is wonderful in every way, comes from association. Guilt by association. Andrew (again, all of the details are entirely made up) has a PhD in economics from a top school. He married a girl he met in college, and has two adopted children, one foster child, and one biological child. He adores all of them. He's been working in a university for years, but still doesn't have tenure. He keeps getting knocked around, and publishing, for some reason, eludes him. 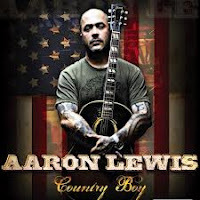 He doesn't look like a country boy, and he certainly doesn't have Aaron Lewis' self-acceptance, the self-esteem of a real country boy. But Andrew's parents moved him at critical moments in his life, and his haircuts didn't match the haircuts of his peers, his accent stuck out. His clothes were too gray, and he had a last name that predicted he would be the brunt of many jokes for as long as he lived. Tall, handsome, built, he still sees himself as gawky, awkward, with features that are too large and a voice that sounds, to him, tinny, whiny. It isn't. He could broadcast the news. Hard as he tries, he sees himself as a geek, an outsider. His parents are both shy, socially introverted, and they didn't introduce much panache. Depressed, he calls them. His diagnosis? Dysthymic Disorder, 300.4. He's suffered that low-grade depressive fever his whole life. Too much teasing. Too much bullying for being the boy he had to be, coming from the family he didn't choose. He lived in areas of the south that didn't take kindly to all kinds of people, certainly not intellectuals. And although he lived on a farm until he was fifteen, and can milk cows and hunt pheasant, he is an intellectual and always will be. No chicken feed for him. Is there any hope for people who suffer this enduring condition that is bound to sabotage, bite us in some way or another? Well, of course there is. Begin by not judging so much, not judging anyone, not ever (this is the only way to true empathy and understanding, even of ourselves). Begin by assuming that we all come from someone, and if others don't like where we come from, or who we come from, their bad for assuming themselves better. Begin changing by tempering the effort to differentiate. No matter how we leave our roots behind, whether or not it is by dressing better (or worse), getting better haircuts, trimming our beards, studying Emily Post or shamelessly social climbing, our history is us. And it makes us so much more interesting than a two-dimensional magazine photo. Aspiring to being better than the people who raised us works and we should, but to tackle self-esteem, we have to start with what we have, seeing ourselves objectively, as children of the universe, saddled with a past that should be something we can talk about, let go. It is only some of us, not all. Change on the outside (not that we can't or shouldn't) is so much work. No wonder the diagnosis for guilt by association, very often, is one form of depression or another. Sure, you deserve pictures, and I stole the one at the top of the post from a friend, and this one below, from her daughter's wedding, with permission, naturally. It was beautiful, and exhausting, no big affair. And I didn't crash, truly, until this week. Between the mental and physical exhaustion and the cottonwood allergy, I thought I needed an annual physical. Married to a doctor, you get one of these every twenty years. The wedding was in New Jersey, and we're from Chicago. But we have people there, and finding things isn't that hard, now that we all have more than a compass. One of the things I took on was hospitality in the hotel. I wanted to be sure people felt cared for, had a few snacks, (good snacks) in the hotel in case they were too tired from traveling to want to go out. So I rushed around the day before the wedding and took care of people. But there were guests, I soon learned, from the other side, that weren't on my list. I had some extras, but not enough. A man from the tribe (we identify with those skull caps, you know what I mean), approached the desk in the lobby while I was talking to a clerk about delivering the hospitality bags. "Are you here for my son's wedding, by any chance?" 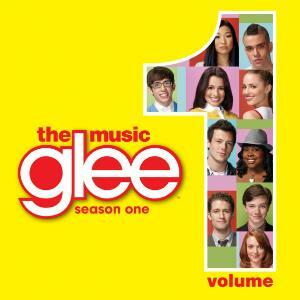 I ask, smiling. "Uh, sure. Maybe. What are you here for?" "For who?" I ask, carefully. "For my wife." (and better, even). "And when did your wife die?" I squeak out. "Two weeks ago." (And still smiling. The power, the sheer power of a positive personality). "It was so nice, just being greeted here, invited to your son's wedding" he says, winking. "I'm from Pasadena." And we launch into a discussion of Pasadena. My youngest, the one who got married, asks me what the band should play when my daughter walks down the aisle with her spouse and their three young sons. They moved back to Chicago last year after ten years in California. Considering winter past, and this ridiculously cold spring, California Dreaming, obviously. Fourth Snap: About a month ago, having trouble sleeping, up and down all night, I woke up for the fifth time at five a.m. and started the coffee. No big deal. I told myself, that this is how it is when you're older. You merely don't sleep much. Gradually you need less and less. It is like you want to live every day, every minute, don't want to waste any of those demarcations of time. You're looking at that Facebook timeline of life and the future is coming up short. My father, in those years before his death, deep into his eighties, hardly slept at all. But I know that on Friday night I'll catch up, regardless, because I drink a little wine with my meal, and am often down for the count by ten, book open. It will be an eight to ten hour night, no question, and the rest, the sleep, is healing. Not that I'm recommending anyone drink wine for sleep. It is counter-indicated. Sleep problem? Talk to your primary care doc. He'll probably send you to the likes of me. Anyway, that night happened to be a Friday night and the system didn't work. The rich food, the glass of wine, no magic bullet. I was up late reading, which is fine, but woke up very early, as usual. On a Saturday! That surprised me, as did my headache. One crummy glass of wine. Two Tylenol, a cup of half-caff later, I'm in bed again, reading, and asleep in fifteen. This time I REM. REM is Rapid Eye Movement, the stuff of dream sleep, and there is nothing like it, we all know. Refreshes a body's soul. My dreams are transparent, too, no need to work to understand them. In this one, FD runs off without me in a strange place, some convention in a suburb not that far away. The subtext is that I am looking for him, but am also looking for my daughter, who has moved away. I can't find anyone to tell me how to get to my car, or where the parking lot is located. I'm in a hotel which is also home to a/synagogue with a hundred people I vaguely know but cannot name. At a convention booth is a news crew shooting footage of someone, maybe a news anchor, speaking into a microphone, looking directly at the camera. Someone points to me and tells the anchor (I think it's Jane Pauley), that she should interview me, that I know a lot about the subject. I say sure, and am waved to a chair, handed a microphone, and answer all of the questions well, loving it. All of my anxiety in the dream dissipates as I pontificate on some random topic that I don't remember upon waking. At the end of the interview I realize I have left my purse somewhere, with my phone, but even this doesn't bother me. I am in the moment, living it, and all is well. I wake up and In Sickness As In Health, Helping Couples Cope with the Complexities of Illness is open to page 139.Barbara also blogs. Always lovely to stop by to see her. Barbara Kivolwitz and Roanne Weisman have pieced together a lovely little how to and I recommend it highly. How to Outsmart Anger is barely dented, and I don't understand this, and keep apologizing to the publicist, who wants a review. But the truth is that when I get like this I prefer chick lit. I did like it, and am going to read it and discuss it in more depth when something anger-specific comes to mind. 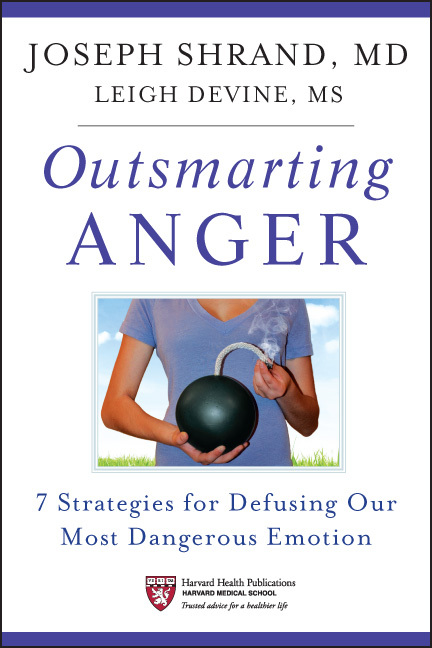 But for now, check out the review by Jamie Ducharme on how to outsmart anger, and if it fits, check out the book. And if you have questions, the author, Dr. Shrand, promises to answer them for us. He'll even grant me an interview. Comment and let's take advantage! Anger is stupider than it looks. Recommend a rager near and dear, or one you wonder if you love. Soon after the wedding the spell broke. As you certainly suspect, the sleeplessness had to do in part with aging, but more likely, is that fear of abandonment we've talked about so many times, and definitely a little performance anxiety, stage fright related to an upcoming workshop. I'll be that person, the one who is supposedly able to work without notes, the one who will be in the moment, entertain, and teach. #readslikeaTedTalk. And face it. We're all afraid of losing our phones. LOL on the fellow inviting himself to the wedding. Did he show up? Nah, he was playing with me. We laugh, lest we cry. Feels much better. Actually, I don't think a glass of wine at night is necessarily contra-indicated as a sleep aid. The effect on the brain is pretty much the same as any prescription hypnotic (zolpidem, diazepam, Lunesta), and evidence shows it is just as effective. Notice I said a glass. It would be safer to take ibuprofen for a hangover headache than tylenol (in case this happens in the future) due to how the liver metabolizes both alcohol and tylenol. With ibuprofen, just make sure to eat a couple of crackers or pretzels or something, so as not to irritate the stomach lining. Best cure for a hangover, in my limited (two hangovers lifetime) experience - making sure to drink plenty of water. Hydration is key! Mazal tov on your son's wedding! As long as your mentioning books, I read a book you'd recommended quite awhile back, One Thousand White Women: The Journals of May Dodd. I read it just recently, enjoyed it very much. As for the fellow you outlined, the one that suffers from guilt by association, that resonates in terms of not finding it easy to see myself the way I think others do. I can override that feeling most of the time and then some little something will happen and I fall into a funk. And I meant to write "As long as you're..." Sheesh. Typos. And congratulations on the marriage in your family. Maybe someday that will happen with my own children, both grown, but still in early adulthood. Congratulations! How wonderful. You must have felt so happy to see her hitched. Thanks all, for the drinking advice and the hangover advice, and oh, MB, I LOVED that book, 1000. And thanks MB and Miss 312 for the mazal tovs. We all need good luck, especially kids who are please G-d going to be raising kids in this world.